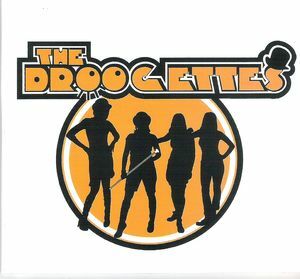 The Droogettes were formed by Philadelphia area based musicians: Rachel Starlett, Frankie and Jen Reiling in the fall of 2012. This trio was joined by drummer Tina Klein in February 2013 after auditioning numerous drummers. Taking the 7 Seconds song "Not Just Boys Fun" literally, these girls wanted to provide a voice, not just for a generation, but with a female's outlook and perception. After catching the eye of local independent Philadelphia label Creep Records, the band hit the studio in July 2013 to record demos which then became their self-titled CDEP. This was their debut recording was recorded and produced by Arik Victor (Kill Your Idols/ The Casualties) fame and is scheduled for world-wide release on August 26th 2014. A video for the song "We Don't Love You" was filmed and released by Jeremy Ginsberg as a promotional vehicle for the CD on Creep Records. The band recently just released a split 7” with Scotland’s own External Menace in 2015 to great reviews. The Droogettes have shared the stage with some great punk hierarchy so far, with support slots for bands such as: D.I., The Business, The Dickies, Infa Riot, The Vibrators and Slaughter & The Dogs. 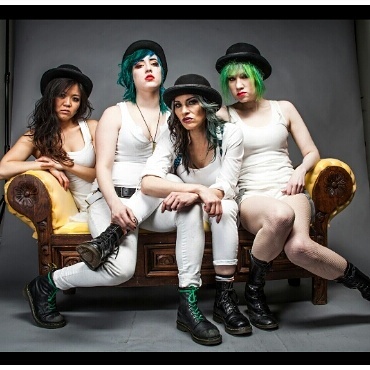 With the departure of Klein and Frankie, The Droogettes have found a permanent addition in their lineup with newest drummer Jamie and guitarist Elija. They are currently recording a new full length CD/ LP on Violated Records, a subdivision of Creep Records. It will feature all new tracks as well as a track recorded with Hard Skin singer Johnny Takeaway. 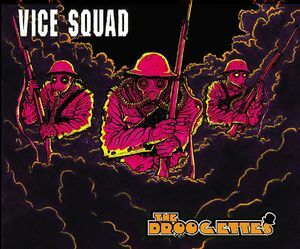 The Droogettes also have a split 7” on Rebel Sound Records with UK punk legends Vice Squad to be released early summer 2016. Promotional videos will follow.